When will be Dark Shadows (1991) next episode air date? Is Dark Shadows (1991) renewed or cancelled? Where to countdown Dark Shadows (1991) air dates? 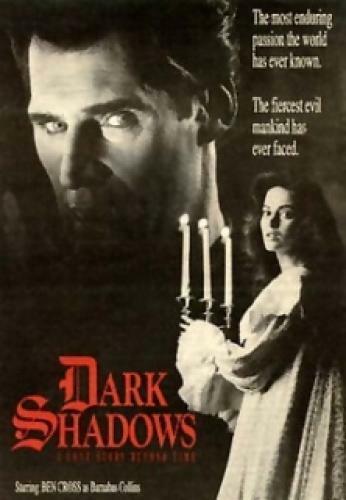 Is Dark Shadows (1991) worth watching? Remake of the popular 1966-71 Gothic daytime drama Dark Shadows that aired briefly on NBC during the spring of 1991. Ben Cross, Jean Simmons, Joanna Going, and Roy Thinnes co-starred. EpisoDate.com is your TV show guide to Countdown Dark Shadows (1991) Episode Air Dates and to stay in touch with Dark Shadows (1991) next episode Air Date and your others favorite TV Shows. Add the shows you like to a "Watchlist" and let the site take it from there.